Home / News / Who Survives Mesothelioma and Why? A new study of National Cancer Institute data aims to better understand who survives mesothelioma and why. Malignant mesothelioma is a highly aggressive cancer of internal membranes. Very few people diagnosed with mesothelioma live longer than 18 months. But researchers around the world are working to change those odds. One important step is to look at the characteristics of those who live longest with the asbestos cancer. Scientists at Mount Sinai Medical Center in New York turned to the National Cancer Institute database to get a better picture of who survives mesothelioma. The database contains information reported by mesothelioma doctors from around the country. It includes information about the ages, gender, lifestyle, mesothelioma type, and other relevant factors from hundreds of mesothelioma patients. Previous studies have shown that women with mesothelioma often live longer than men. The new study aimed to confirm that on a larger scale and find out why it might be true. The new study included more than 16,000 mesothelioma patients and was published in the medical journal Carcinogenesis. The study confirms that men are more likely to get mesothelioma but women are more likely to survive it. This was true even in men and women of the same age and even if they both had the epithelial mesothelioma subtype. “This study adds information to the known significant gender survival difference in malignant pleural mesothelioma by disentangling the effect of gender from the effect of age and histology,” write the researchers. Why Is it Often the Woman Who Survives Mesothelioma? The next question to answer is why women live longer than men with the asbestos cancer. The New York researchers have some theories. They suspect that estrogen may play a role. Estrogen is a hormone that is present in larger amounts in younger women but not in older women. Estrogen receptor beta, a powerful tumor suppressor, may also be important. The researchers say their findings could lead to new therapies to impact who survives mesothelioma. Possibilities include hormonal therapy with estrogens for mesothelioma patients with a poor prognosis. Despite the odds, the world’s longest-living mesothelioma survivor is a man. 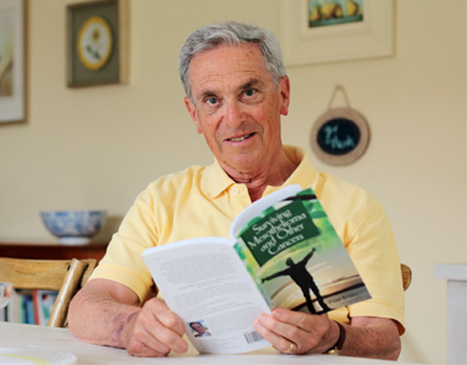 Australian Paul Kraus has survived mesothelioma for more than 20 years. Kaus’ book about how he did it is the top mesothelioma book in the world.